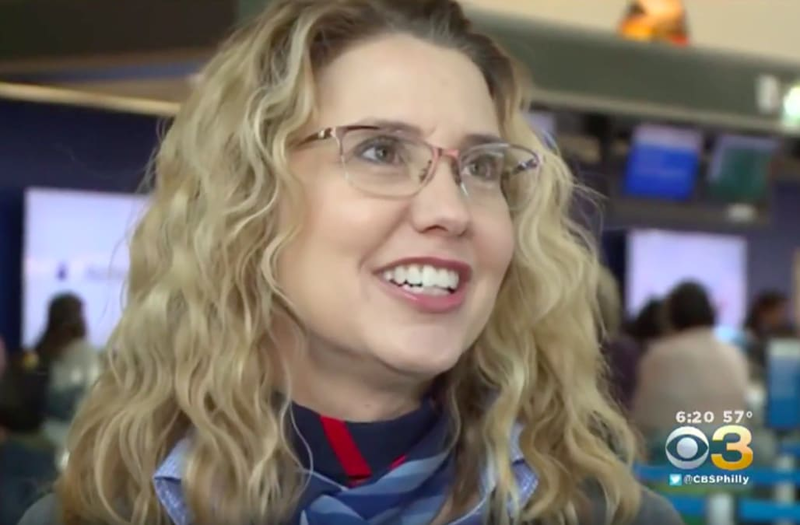 Law enforcement officials say that a quick-thinking airline employee, aptly named Denice Miracle, likely saved two teenage girls from a human trafficking plot. Miracle, an American Airlines agent at California's Sacramento International Airport, was working at the ticket desk on Aug. 31 when two girls, aged 15 and 17, approached her counter, according to KOVR. Miracle said the teenagers, who were trying to board a flight to New York, had a small number of bags with them, but no form of identification and no adult guardians. The vigilant employee began to think something was seriously wrong when she noticed that the tickets, both first class, were purchased online with a credit card under a name that did not match what either of the teens had provided. "It was a first-class ticket. It was very expensive. I told a supervisor, 'I'm going to call the sheriff. It just doesn't feel right to me,'" Miracle said. When deputies arrived at the airport, the teens admitted that their pricey tickets were purchased by a man named "Drey" who they met on Instagram. Apparently, the stranger told them that if they flew to New York for the weekend, he would pay them $2,000 to model in a music video. Authorities say they located "Drey" on social media, but after briefly making contact with him, all of his accounts went dark. When Deputy Sanderson informed the teens that their tickets had no return flights, he said they became defensive before ultimately accepting what could have happened to them. "They were somewhat flippant about – 'No, that can't be true' – and I said, 'No, the airline says you have a one-way ticket, and in my belief, you're going back there not to do the things that you think you were going to be doing.' And they said, 'I wouldn't let anything happen that I didn't want.' And I said, ‘Well, you probably wouldn't have a choice in the matter,'" Deputy Sanderson said. Following the incident, the teens were reunited with their parents, who were likely surprised to learn their daughters weren't spending the night at a friend's home like they had been told. American Airlines commended Miracle for her brave actions, saying that her employee training played a role in saving the girls' lives.